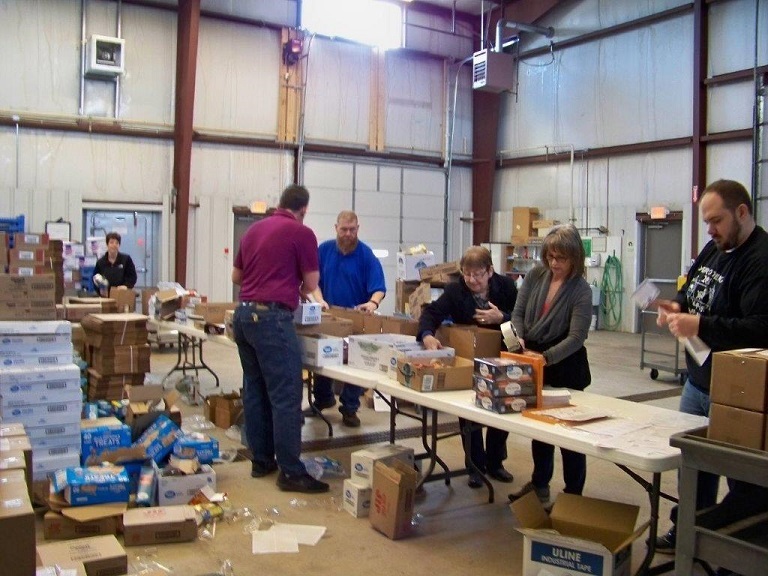 CURWENSVILLE – As the weather continues to change, Clearfield County Area Agency on Aging staff spent the morning of Feb. 8 preparing and packing Blizzard Boxes at the agency’s Meal Distribution Site in Curwensville. 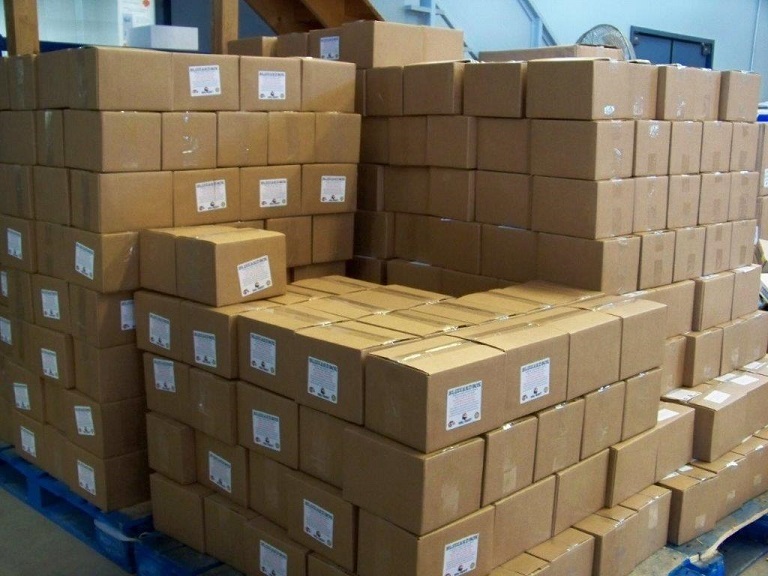 This was the third packing for this winter season and is done as the need grows. Blizzard Boxes are non-perishable meals that are packaged and delivered to Meals on Wheels & More consumers at the onset of winter. Consumers are encouraged to keep these meals on their shelf for those winter storm days when the agency may be unable to deliver a hot meal. Each year, since its start in 1983, Rotary Clubs, Clearfield Area and DuBois United Ways, individuals and businesses from across the county pull together to fund this program. People sponsor Blizzard Boxes for $10 each, which covers the cost of the food and supplies necessary to complete a three-meal blizzard box. Each $10 box has a label on the outside stating, “These nutritious meals are provided to you by: (donor’s name).” This gives the donor some visibility for their support of the program while allowing the recipient an opportunity to relate to folks in the community who have provided this service. Anyone interested in donating to the Blizzard Box Program may contact Terry Khoury at 814-765-2696 or visit the agency’s Web site at www.ccaaa.net.